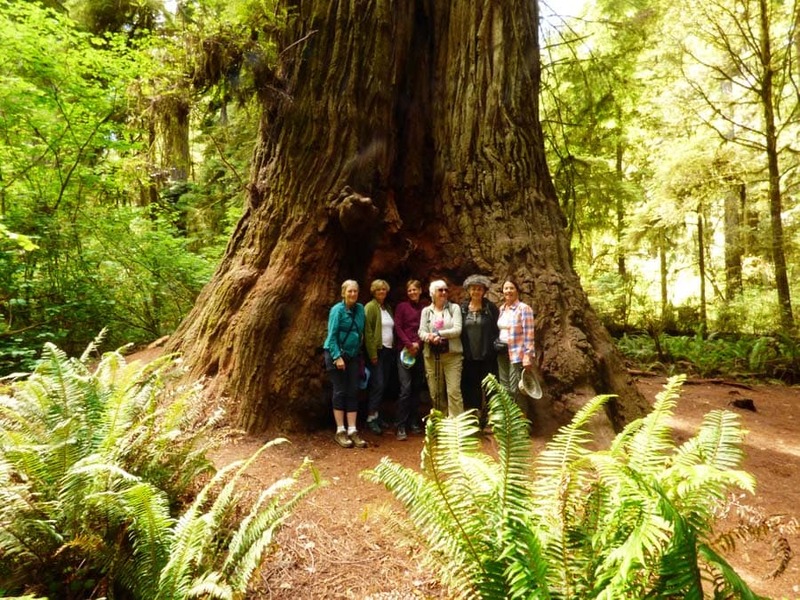 Our California and Oregon outdoor adventure tours let you experience for yourself the west coast attractions and landscapes that draw visitors from all over the world to this region. Departing from magnificent San Francisco, we drive through California and Oregon, stopping at popular destinations while also revealing little known treasures on roads less travelled. 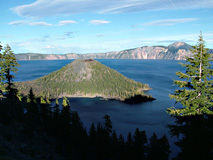 On this west coast tour drive from California’s wine country and coast to the redwoods, then to the volcanic terrain of central Oregon. You will find endless opportunities for taking photographs, walking, bird watching, wildlife viewing and picnicking in natural surroundings, while enjoying the company of like-minded people, a knowledgeable guide, and an experienced driver. NEWS: on our 08/17/2017 tour departure you will have the chance to view the very rare “Great American Solar Eclipse” in Oregon! For a longer California only adventure tour see our California Treasures tour. Tour San Francisco, including the Golden Gate Bridge and bay views from Sausalito. 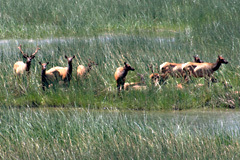 Drive scenic Highway 101 and explore the California and Oregon Pacific coastline. Visit the towering Redwoods with their past riches and present controversies. Follow the pristine Smith River, one of the last undammed rivers in California. Witness the fascinating geology of Oregon’s High Lava Plains province with its sheer rock faces that inspire international climbers to settle here permanently. Experience Portland, vibrant city on the Willamette River, its cityscape dominated by Mt. Hood, the Northwest’s poster city for urban planning and quality of life. Children (up to 12 years) contact us for special prices. Interested in the San Francisco North tour? Please contact us! We are happy to answer your questions. The interactive vacation schedule offers you further information about a variety of the places that you will visit on our tours traveling north from San Francisco to Portland. The schedule provides a daily breakdown of tour highlights and gives you a chance to further explore the various locations on our tour route. With vivid pictures and accurate descriptions you can gain a better idea of what these winter tours have to offer. 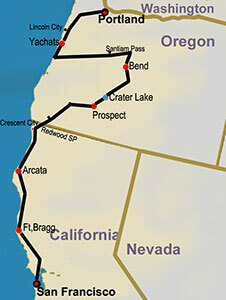 San Francisco North, Tour of California and Oregon – Travel Dream West has carefully chosen hotels and lodges for their charm, uniqueness and great service. Accommodations are in two and three star hotels. There are also some hotels chosen for their unique historical importance or cultural significance. On these small group tours, we begin and end our journey in either San Francisco or Portland. For your enjoyment it is recommended that you arrive at least a day early in the arrival city and stay an extra day at the end in the departure city. This will give you an opportunity to explore the cities further on your own. If you need any help arranging accommodations or sightseeing activities please contact us. We are happy to help you. Cultural riches await you on this West Coast Tour. These tours in California and Oregon begin and end in vibrant San Francisco and Portland. 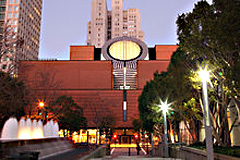 With extra time at the beginning and end of the tour, you could could visit other highlights: in San Francisco, the De Young Museum, MOMA, Alcatraz, Muir Woods, the historical ships at Pier 42; then, in Portland, the Japanese Garden, Portland Art Museum, Powell’s Books, the Chinese Garden, and the Oregon Zoo.